2017 Passes and Ticket Packages go on sale February 14 @ 11am! Passes are limited and sell quickly. 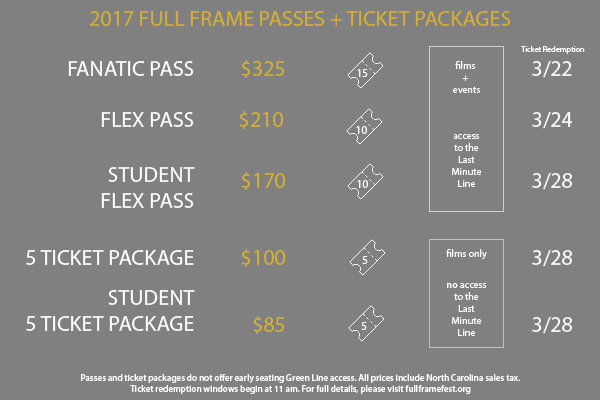 Once passes and ticket packages are sold out, you will still have an opportunity to purchase single film tickets.